A common misperception amongst travellers to the West of Ireland is that the only reason to visit the area is to take in its beautiful countryside, mountains and lakes. 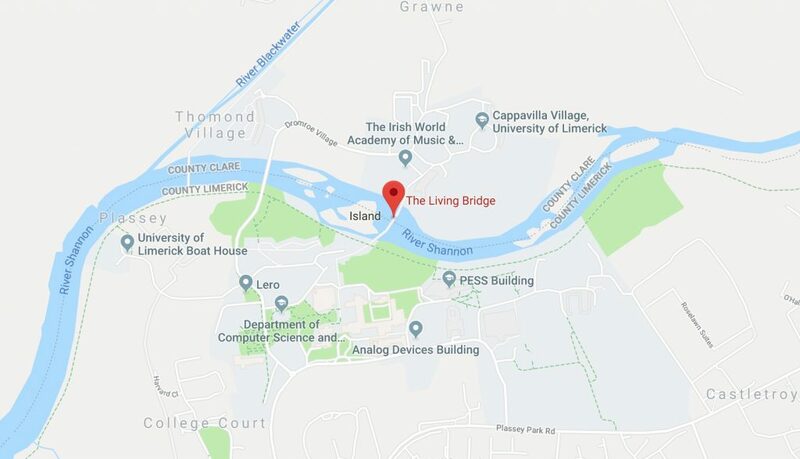 So it comes as a surprise to many tourists looking for things to do in Limerick, and the surrounding area, just how diverse a range of activities and attractions there are within easy walking or driving distance of Limerick city centre. And it’s not just about historical sites either. Limerick is a vibrant, modern city with modern architecture and big-brand retailers nestling happily alongside quirky, independent shops and artisan producers. Limerick also a fantastic choice of restaurants to suit all tastes and budgets as well as a great choice of accommodation from privately rented rooms to luxury hotels. Limerick is stronger and more beautiful than all the other cities of Ireland, well walled with stout walls of hewn marble… There is no entrance except by stone bridges, one of the two of which has 14 arches, and the other 8 … for the most part the houses are of square stone of black marble and built in the form of towers and fortresses. A tour of a power station might not be everyone’s idea of fun. But, seriously, we suggest you withhold judgment until you’ve visited Ireland’s largest river hydroelectric scheme at Ardnacrusha Power Station. Tours of ESB’s power station in Ardnacrusha were introduced in 2017 to mark the company’s 90th anniversary. The hugely positive response received from visitors came as quite a shock. So a decision was made to continue with the tours in 2018, and hopefully beyond. As part of the Shannon hydro-electric scheme, Ardnascrusha took just four years (1925 to 1929) and 5,000 workers to build. Costing more than IR£5m to construct at the time – almost one-fifth of the entire annual budget. Ardnacrusha became a symbol of forward thinking in Ireland’s effort to harness its natural resources. With the national grid constructed at the same time, the 86 MW capacity was then enough to meet the electricity demands of the whole country. Today, Ardnacrusha represents around 2% of ESB’s total installed capacity. 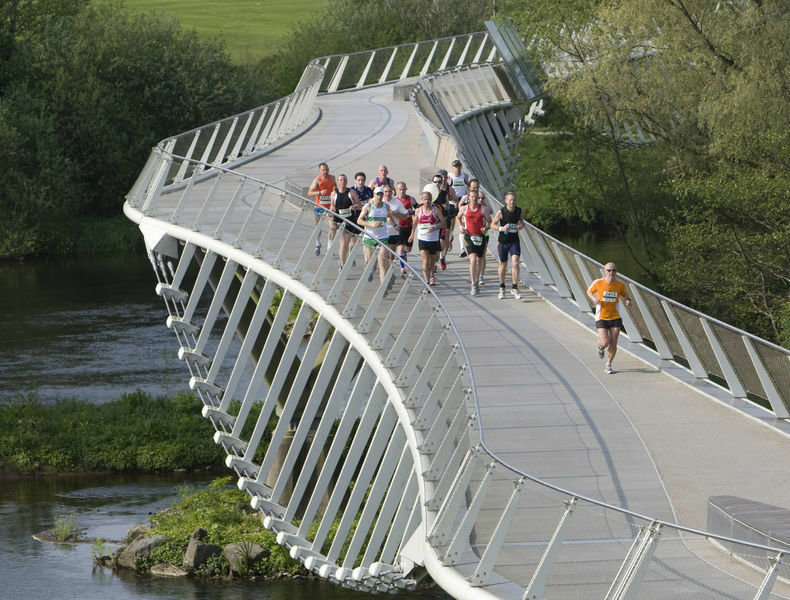 At 350 metres, the Living Bridge (Irish: An Droichead Beo) is the longest pedestrian bridge in Ireland. Designed by Wilkinson Eyre Architects, the bridge links the University of Limerick buildings in County Limerick and County Clare. The bridge, which is supported by two underslung catenary cables, was designed to provide social and cultural space to encourage students (and pedestrians) to rest a while as they cross along the gently curved structure. Its position on the Shannon is wide and shallow with many wooded islands which provide varied views and support for the piers. Financed through a Public-private partnership, construction was undertaken by Eiffel Constructions Metalliques and completed in November 2007 at a cost of €12 million. Terra Nova is one of Ireland’s best known small, privately owned gardens and is a firm favourite with garden visitors of all ages. A half acre that appears so much larger due to the clever use of weaving pathways, imaginative features and an ingenious use of space, nothing goes to waste here in this lush oasis. Originally a wet, boggy field full of horsetail and rushes, it has been transformed beyond recognition and now features regularly in the media. A past winner of the prestigious title of “Best Garden in Ireland”, Terra Nova is dynamic, a space that never stands still. Although it is without doubt, a plant lovers garden, it offers so much more, including a tropical Thai house and a magical fairy garden that will enchant children and adults alike. You don’t have to be a rugby fan to know about the history and passion of Munster Rugby. The iconic Thomond Park Stadium, home of the Munster rugby team, has played host to some of the greatest ever rugby games. Now, with the opening of the new Munster Experience Museum in January 2015, you can get a fascinating insight into the history and heritage of Munster Rugby and the players who graced the hallowed turf. The Full Stadium Tour consists of a museum visit, entry to the home and away dressing rooms, plus visits to pitch-side, the Munster dugout. During the tour you’ll get to see places usually only accessible to players and officials. From a seat in the home dressing room to a walk down the tunnel, the tour gives you a unique opportunity to experience how the Munster players feel on big match days. New interactive displays allow you the chance to ‘be the commentator’ and have your action shot taken alongside Paul O’Connell, Simon Zebo, Felix Jones and Conor Murray, after which you can send both your commentary and action shot directly to your e-mail. One of Ireland’s most celebrated museums, the Hunt Museum is located right in the heart of Limerick City. Holding a personal collection donated by the Hunt family, it was originally situated in the University of Limerick, before being moved to its present location in the Georgian Custom House in 1997. The Custom House is situated on Rutland Street on the banks of the River Shannon at its confluence with the Abbey River. The museum was established to house an internationally important collection of approximately 2,000 works of art and antiquities amassed by John and Gertrude Hunt during their lifetimes. On display are the 9th-century Antrim Cross, a sketch by Picasso and a bronze sculpture of a horse, said to be from a design by Leonardo da Vinci.Among the museum’s collection are works by notable artists and designers such as Pablo Picasso, Jack B. Yeats, and Sybil Connolly as well as distinctive historical items such as the O’Dea Mitre and Crozier. 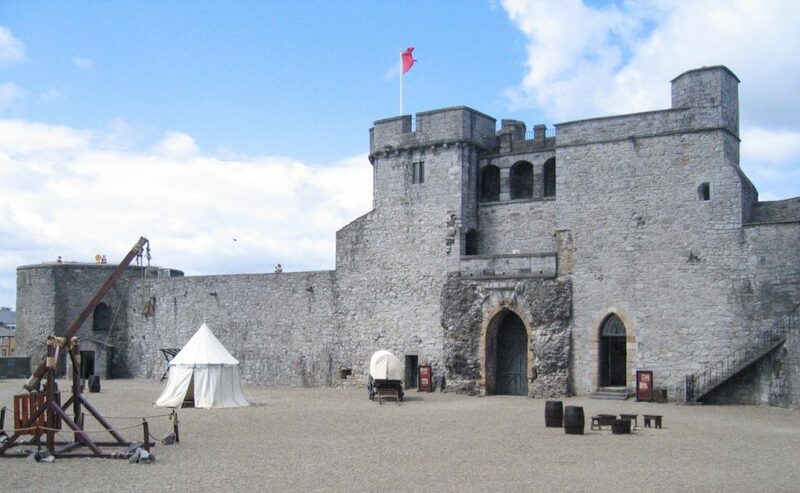 Situated in the heart of medieval Limerick City, King John’s Castle was built in 1200 on the orders of King John. Recognised as one of the best preserved Norman castles in Europe, the walls, towers and fortifications remain in place today. This 13th century Castle reopened in June 2013 following a multi million euro investment. Now visitors can can explore its state of the art interpretive activities and exhibitions which bring to life over 800 years of dramatic local history. Children in particular will love the Education and Activity Room which is bustling with interactive touch screen technology, 3D models and discovery drawers to stimulate curious minds. Exploring and learning about history can be hungry work. So take the chance to relax afterwards in The Hunt Museum Café – the perfect place to unwind and take on refreshments, while enjoying terrific views onto the castle courtyard and the Shannon river. The Milk Market in Limerick City is one of Ireland’s busiest and most successful farmer’s markets, with a vast range of local produce and artisan gifts. A favourite among food writers and public alike, no visit to Limerick is complete without a visit to the Milk Market. Sample the culinary delights of Ireland with produce that rivals anything available at continental markets. The Milk Market has been operating in various forms since 1852. Major redevelopment works during 2009/2010 transformed into an all-weather market, with larger markets happening every Friday, Saturday, Sunday and Bank Holiday Mondays. Today, the milk market in Limerick is unrecognisable. A spectacular elongated canopy was erected over the marketplace allowing traders to operate in all weather. What better way to spend the morning than listening to some top quality Buskers while feasting on a hand-made sausage cooked on coal fires. 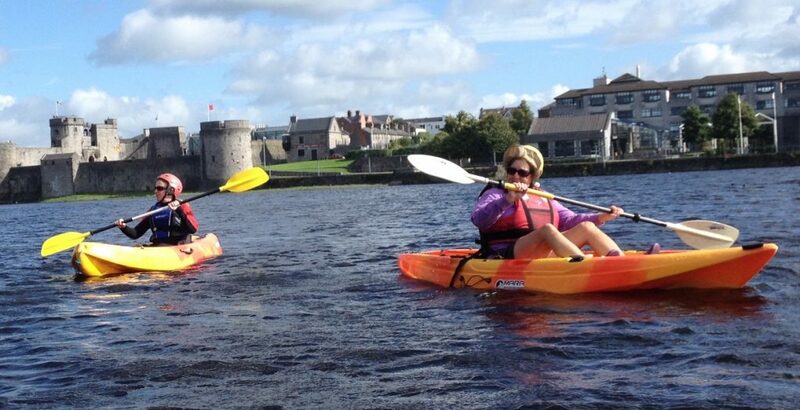 A Limerick Kayaking Tour is a safe and fun way of seeing the sights & sounds of Limerick City from a completely different perspective. Operated by the fully qualified team of kayaking instructors at Nevsail Watersports, the tours (which run by day and night) are suitable for children from ages 5+ and adults. No previous kayaking experience is needed, and all equipment is provided. 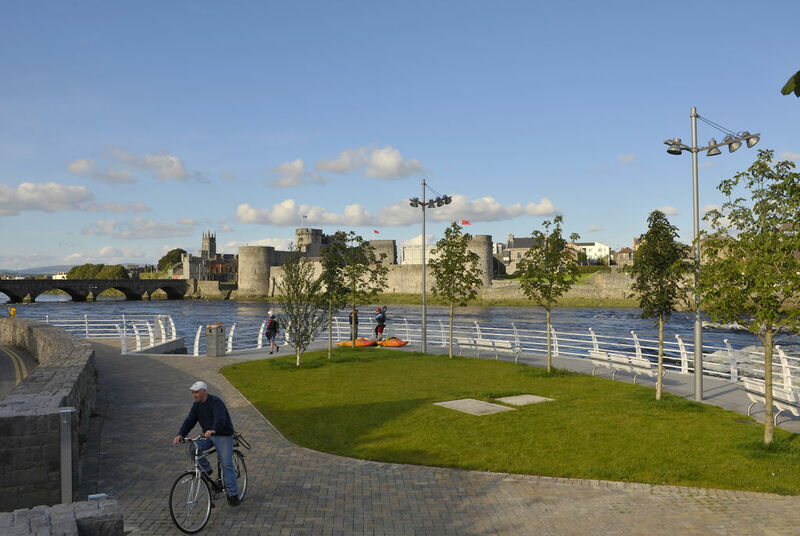 Whether you’re a local or a tourist to Limerick, you’ll be amazed at how different the city looks from the River Shannon. 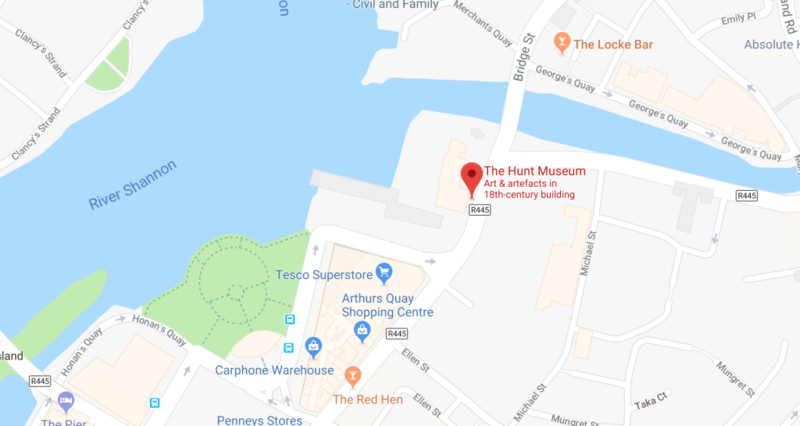 As an added bonus, your kayak instructor will share some interesting facts about Limerick’s history as you gently kayak from your starting point behind The Hunt Museum. If you’re not a history buff, feel free to simply relax and enjoy the local wild life, as the River Shannon is a nature-lovers paradise with abundant wildlife and amazing things to see. After the Battle of the Boyne in 1690, the remainder of James II’s defeated army retired to Limerick under the command of Patrick Sarsfield where they held out a siege for over a year. When they eventually surrendered a treaty was made at this stone. The Treaty of Limerick ended the Williamite War in Ireland between the Jacobites and the supporters of William of Orange and concluded the Siege of Limerick. The Treaty Stone is an irregular block of limestone which once served as a mounting block for horses. 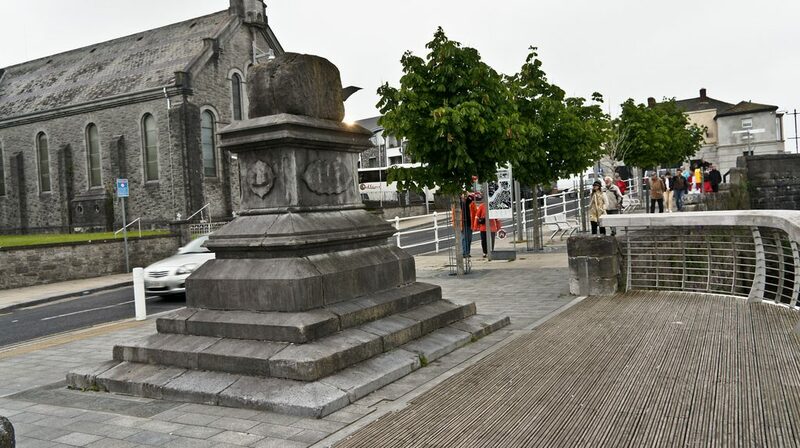 This stone is now displayed on a pedestal in Limerick, put there to prevent souvenir hunters from taking pieces of it. 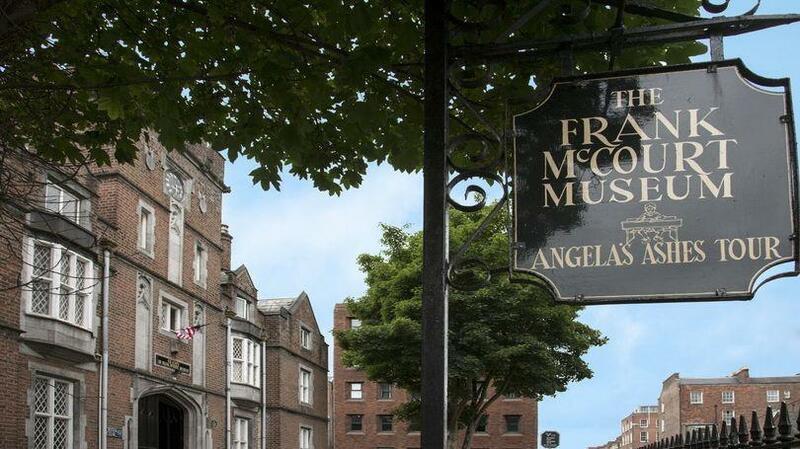 The Frank McCourt Museum, in Limerick City, is a museum dedicated to the writer, and Pulitzer Prize winner, Frank McCourt. McCourt is most famous for his book ‘Angela’s Ashes’, his memoir of his childhood in Limerick. This tudor-style, listed building, ‘Leamy’s School’, was where Frank and his brothers received their early education. Leamy House (formerly known as Leamy School) is a tudor style, listed building with an interesting facade, complete with tower, turrets, ornamental chimneys and splendid gargoyles carved in limestone and sandstone. The central area of the museum is a faithful re-creation of the former classroom of the 1930’s, with authentic desks and wall hangings. Visitors can imagine the young Frank and his friends sitting at these desks as the teacher ‘beat the education into them’. Two rooms have been turned into a museum by Una Heaton and are a re-creation of the McCourts home in Roden Lane. Visitors can see first hand the living conditions experienced by the McCourts and the other families who lived in the Lanes of Limerick. The Frank McCourt Museum was officially opened by Malachy McCourt in July 2011 at Leamy House, Hartstonge Street, Limerick. This Tudor style building was formerly known as the Leamy School, the former school of Frank and his brother Malachy. The museum showcases the 1930s classroom of Leamy School and contains a collection of memorabilia, including items such as school books of the period and old photos, all donated by former pupils of the school. 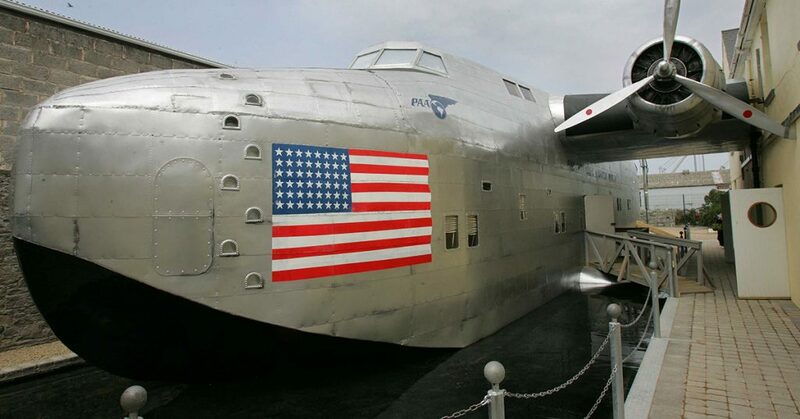 Visit the Foynes Flying Boat & Maritime Museum in County Limerick which tells about the brave world of transatlantic air travel. The museum has a comprehensive range of exhibits and graphic illustrations. Learn about the history of the flying boats in an authentic 1940’s cinema, featuring the award winning film ‘Atlantic Conquest’. Or marvel at the only Boeing B314 replica in the world. The museum also showcases the original terminal building, radio and weather room, compete with transmitters, receivers and Morse code equipment. Foynes was also where Irish Coffee was invented. Chef Joe Sheridan made the first in 1942 to warm up some damp and miserable passengers and since then Irish Coffee has become one the most popular welcoming drinks in the world. There is a great 3D hologram that re enacts this auspicious event. Lough Gur is a lake just outside Limerick City, situated between the towns of Herbertstown and Bruff. The lake forms a horseshoe shape at the base of Knockadoon Hill and some rugged elevated countryside. It is one of Ireland’s most important archaeological sites. Humans have lived near Lough Gur since about 3000 BC and there are numerous megalithic remains there. Grange stone circle (the largest stone circle in Ireland) and a dolmen are located near the lake. The remains of at least three crannogs are present, and remains of Stone Age houses have been unearthed (the house outlines are known as “The Spectacles”). A number of ring forts are found in the area, with one hill fort overlooking the lake. Some are Irish national monuments. It is here that the 14th-century lord of Munster and poet Gearóid Iarla, votary of the Goddess Áine, is said to sleep in a cave and emerge at time of Ireland’s need to gallop around the lake on his great silver-shod white horse. 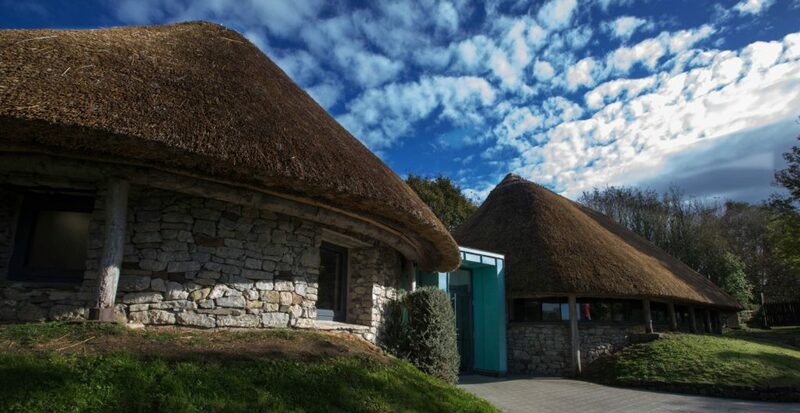 A visitors’ centre is open beside Lough Gur, along with a car park and picnic area. A gradual shore-line is present at the visitor area, with a shallow section of lake reaching up to the maintained lawn. As a result, the area is often used for water sports, though motorised craft are banned on the lake. There is a castle, or tower house (closed to visitors) near the entrance to the carpark. Named Bourchier’s Castle after Sir George Bourchier, the son of the second Earl of Bath, it lies at the neck of the peninsula around which the lake washes. There is some other architecture dating from more recent times, with the ruins of an early Christian church by the road leading down to the lake. At the far end of the lake are the ruins of a Norman castle, Black Castle,which is reached by a hill-side walk along the east side of the lake. This is one of the keeps used during the Desmond Rebellions, and is probably the place where the Earl of Desmond secured his authority in 1573 after casting off his English apparel and donning Irish garments on his return to Munster from London.